Could life as a foster kid lead to unexpected benefits? A teenager's link to animals gives way to human connection in a smart, incisive new novel. Sixteen-year-old Ted O'Connor's parents just died in a fiery car crash, and now he's stuck with a set of semi-psycho foster parents, two foster brothers—Astin, the cocky gearhead, and C.W., the sometimes gangsta—and an inner-city high school full of delinquents. He's having pretty much the worst year of his miserable life. Or so he thinks. Is it possible that becoming an orphan is not the worst thing that could have happened to him? 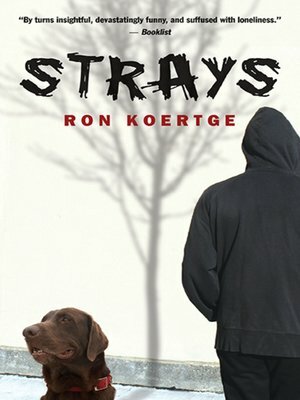 Drawing on his trademark wit and sharp insight, master novelist Ron Koertge takes the lead with this smart, surprising story about a boy learning to run with a new pack.